Fans of The Vampire Diaries everywhere held in a gasp of excitement at yesterday’s news: Paul Wesley is back on the market. Best known for playing the mysterious and brooding vampire Stefan Salvatore, Wesley announced his divorce from wife and fellow actress Torrey Devitto in what his rep has described as an amicable split. Devitto, two years younger than her husband’s 31, has appeared on The Vampire Diariesalongside him as Dr. Meredith Fell. Her TV acting also includes playing Melissa Hastings onPretty Little Liars. The couple first crossed paths through acting, meeting on the set of the 2008 slasher-flickKiller Movie. Three years after the film was released, the couple was wed in New York City, in April of 2011. The two did not have any children. Joining Wesley’s foray into singledom are The Vampire Diaries costars Ian Somerhalder and Nina Dobrev, who called off their relationship this past May. Ironically, this coincided with their respective characters on the show deciding to stay together. While drama and romantic tension are a mainstay of such CW shows as The Vampire Diaries, the fact is that Wesley and Devitto join the thousands of couples who get divorced in the US every single day. 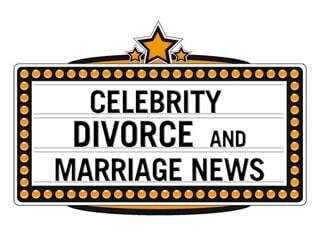 While this means that the three stars of the hit show are now single, it also reflects on how temporary marriages can be, especially celebrity ones. Of course, what fans may be wondering now is whether or not the on-screen love triangle now has the chance of becoming a reality.